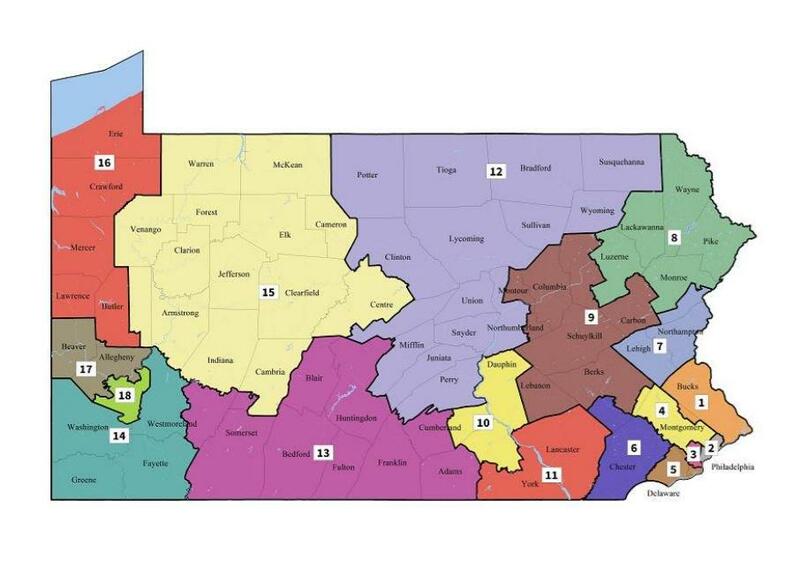 A map shows Pennsylvania's new congressional districts drawn by the state Supreme Court and released to the public on Monday, Feb. 19, 2018. 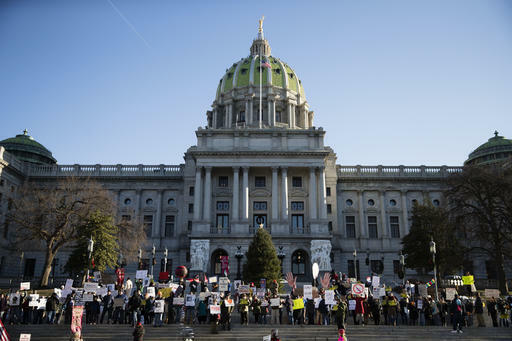 Republicans say they'll go to federal court this week to try to block new court-ordered boundaries of Pennsylvania's congressional districts from remaining in effect for 2018's elections. Top Senate Republican lawyer Drew Crompton said Monday a separation of powers case will form the essence of the GOP's argument. Crompton won't say whether Republicans will go to a district court or the U.S. Supreme Court or what type of legal remedy they'll seek. Earlier this month, the U.S. Supreme Court wouldn't stop the state court's order to redraw congressional districts. Democratic Gov. Tom Wolf calls the new map an effort to remedy the state's unfair and unequal congressional elections. 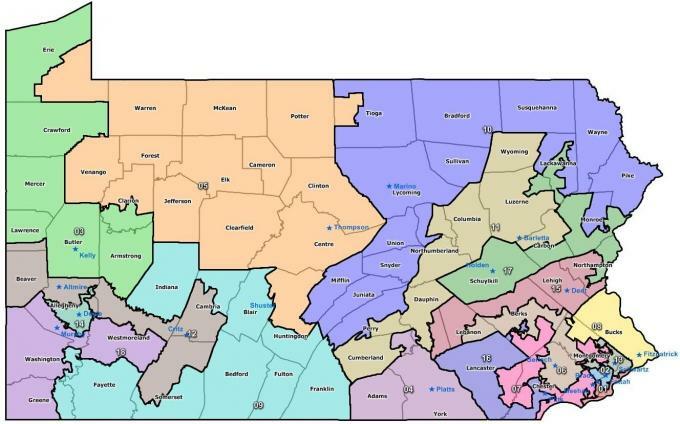 The deadline has come and gone to submit congressional map proposals that meet the Pennsylvania Supreme Court’s new guidelines. 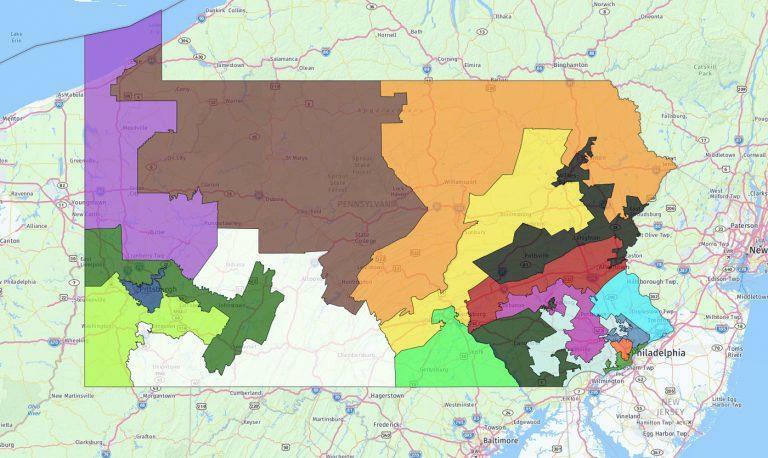 Now that the U.S. Supreme Court has decided not to intervene in the case requiring Pennsylvania lawmakers to draw new congressional districts before the May primary, there’s just three days left to create a new map.